Thank you for your interest in Teaching System Case. Please complete and submit the form below and an ADInstruments representative will aim to get in touch within one working day. If you’d like to speak to someone immediately, office contact information is available from the contact page. An empty stainless steel case with foam inserts which can be used for storing any ADInstruments Teaching systems. 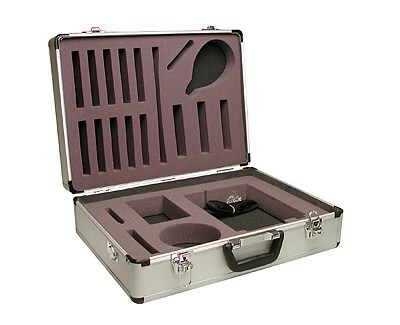 An empty stainless steel case with foam inserts which can be used for storing any ADInstruments Teaching systems. The case has slots for placing any PowerLab 25 series or T series (26T and 15T), along with a number of transducers and accessories.